Healthy eyesight can make a world of difference. Whether you wear prescription glasses or have near perfect vision, seeing an eye doctor at least once a year should be apart of your annual routine. Routine eye exams determine any changes to your vision and test for early signs of disease. If you’re experiencing any of the following symptoms, it could be time for an eye exam. If you find yourself constantly squinting to see objects near or far, you could benefit from an eye exam. Squinting only allows you to temporary focus on items but if you rely on this method long term, you could begin to experience headaches, dizziness, and blurred vision. Similar to staring at an object for a long time, squinting for an extended period of time can be problematic for the comfort of your eye’s. Instead, offer your eyes relief with a pair of prescription glasses or contacts. There’s nothing worse than trying to get through an already chaotic day when you have a severe headache. Headaches alone can make you feel like neglecting all responsibilities and curling up in bed to fight the pain. Consistent headaches can be related to poor eyesight. Along with squinting, if you find yourself with a headache after reading or watching television, you may need prescription glasses. Already wearing glasses? Then it may be time to update your prescription. Dry, itchy or red eyes are not only inconvenient but they are signs of unhealthy eyes. Fighting these problems with drugstore eye drops might temporarily solve your discomfort but it certainly doesn’t fix the persisting issues related to the health of your eyes. A routine eye exam can test for dry eyes — a multi-factorial disease that affects the quality and quantity of tears and alters the ocular surface. An exam might also be able to detect any bacteria that has entered the eye and caused damage. Most importantly, an eye doctor can offer professional advice on eye care and prevention. When you drive at night your eyes require extra support. For one, visibility is decreased between you and the proximity of objects, making it harder to distinguish true distance. The glare of your vehicle’s windshield also makes it harder to see. Moreover, in less than half a second decisions are made when driving; at night decision-making time is shortened. Being able to properly see at night is critical to keeping you and other drivers safe. If you’re currently finding it tough to see at night, you need an eye exam. 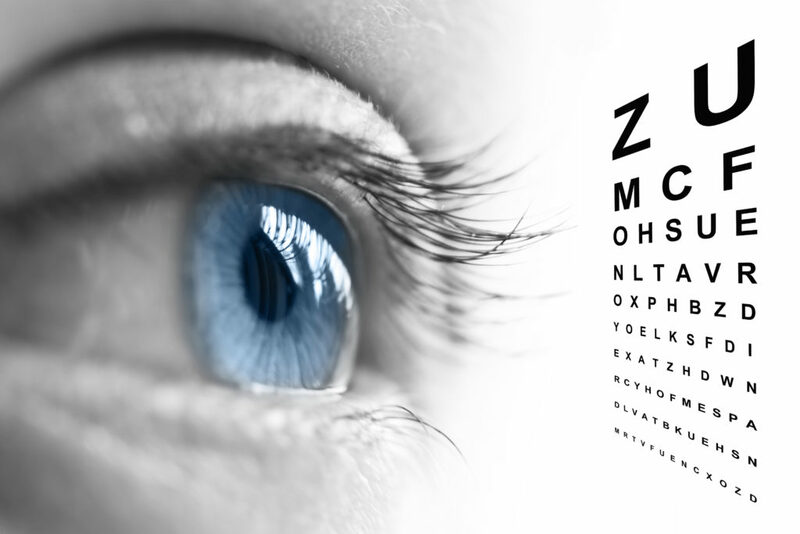 Testing your visual acuity can determine a prescription to correct common issues with vision. If you simply can’t remember the last time you stepped foot inside an eye doctor’s office, then without a doubt, it’s time for an eye exam. Routine eye exams not only update your prescription for glasses or contacts but they help prevent diseases. The reason being, eye doctors have an unobstructed view of blood vessels, nerves, and connecting tissue. Since eyes communicate illnesses related to other parts of the body, eye exams reveal complications such as high blood pressure, diabetes, and even skin cancer. A routine eye exam should be done at least once a year. Even if you’re not experiencing any of the symptoms we’ve described, having your eyes tested every year can help maintain health and vitality. At Hayder Eye Care, we offer friendly, affordable, and customer-centered eye exams. Contact us today! Next PostNext Foggy Vision? It May Be Time for Cataract Diagnosis!